It is sort of a common belief that government allows arms shipments to Jihadist opposition in Syria. This was yet another possible evidence. 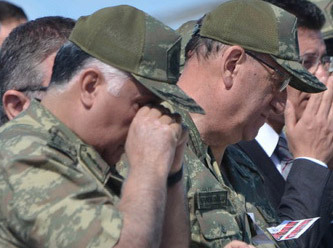 It is claimed that Turkish intelligence prevented gendarme to prevent further search… True or false, the problem is government prefers not transparency in this issues like in many other issues. In the mean time, pro-AKP circles produced more than enough discursive trash on the first day of the year. For the last 4 days, AKP’s plan to eliminate prep schools has been challenged in Twitter not by Gezi protesters but by Fethullah Gülen movement sympathizers. 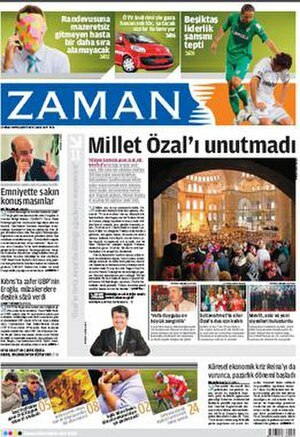 Private prep school network all over Turkey is one of the major recruitment hub for the Gülen movement (Cemaat). 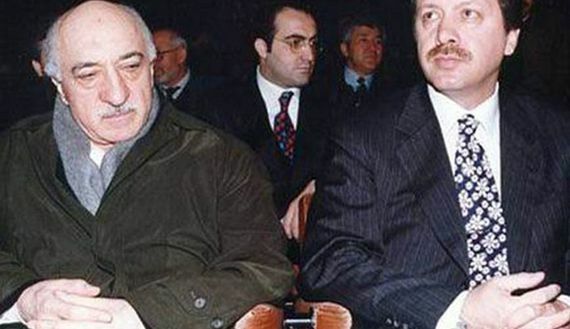 As the uneasy alliance between Erdoğan’s AKP and Gülen movement comes to an end, the former moves to weaken the latter. I am not sure to what extent this move will be successful. There are so many other stuff going on behind the doors that we cannot know in near future. However, the hashtag above remains to be number for 3 days now. Most contributor are “real names” unlike those pro-AKP users who heavily rely on politicized nicknames. 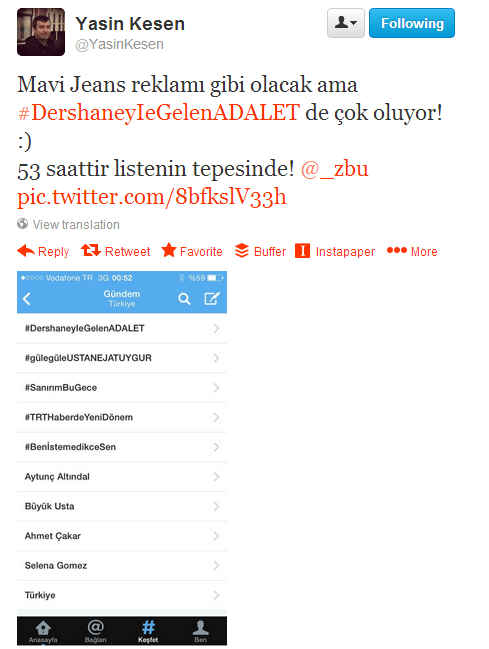 Pro-AKP hashtags popped up regularly but could not stay long. Usual suspects who also triggered anti-Gezi hashtags could be seen but they could not lead substantive campaigning against Cemaat campaigning. Cemaat members are known to hide their political identities but things change. Now they are actively campaigning against AKP’s use of state power. Before he disappeared from Turkey media scene, he was known to promote a mythical Islamised Ottoman Empire, which had no scientific basis but already ideologically located in Turkey’s conservative/ right wing circles. Now he moves to Europe to promote such intolerant dogmatic ideas while he uses European standards of freedom of speech in order to defy Western lifestyles.